Your boy is getting older and is off to high school next year. 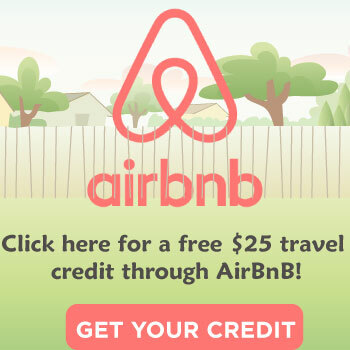 It is an exciting time for both of you, but it can also be a bit nerve wracking as well. 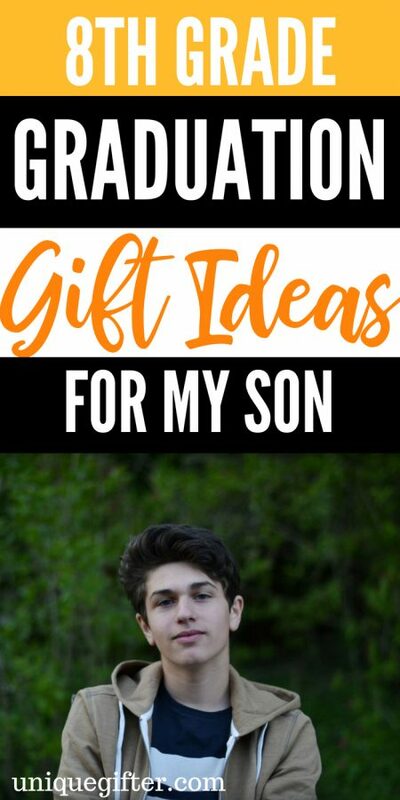 When you want to find him the perfect gift to congratulate him for graduating eighth grade, but you are not sure where to start, this list will help you! 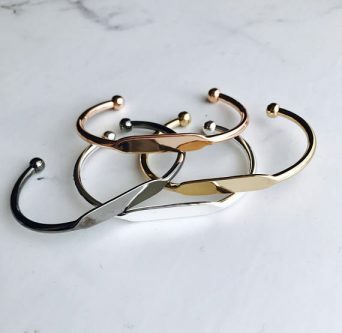 ID cuff bracelets are great, not just for medical conditions, but because they are fun. 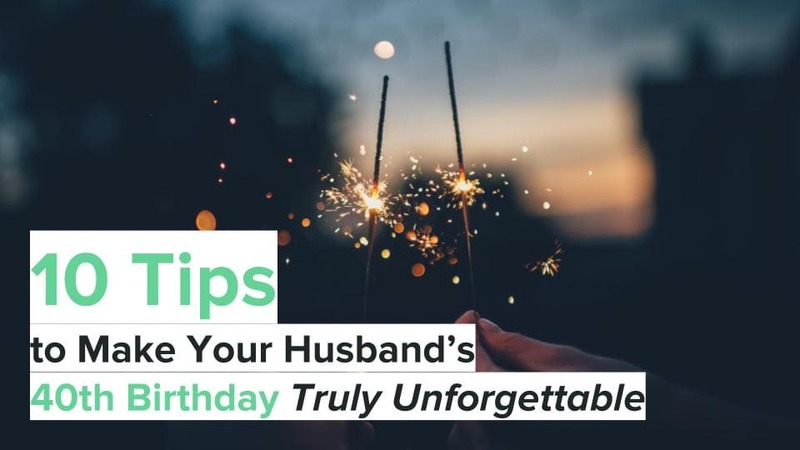 This one is masculine and such a personalized gift for him. 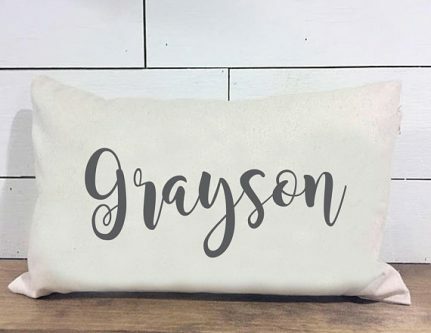 Get his name on this pillow so that he is extra comfy in his room over the summer and after school when it starts up again. 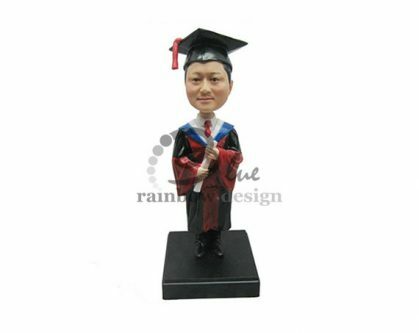 This customized bobblehead of a graduation student will make him feel special and is also fun to look at too. 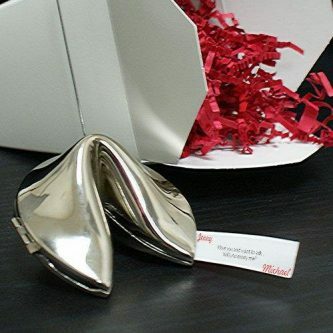 If he likes the fortune cookies given in Chinese takeout, he will love receiving this silver fortune cookie with a personalized message from you inside. Give him some words of wisdom as he moves onto a new chapter in his life. 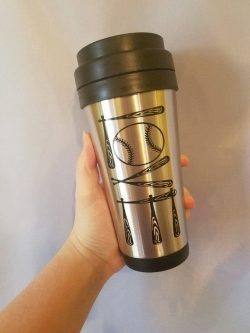 For the baseball lover, this “LOVE” travel coffee mug is great for cold or hot beverages that he needs to take on the go. 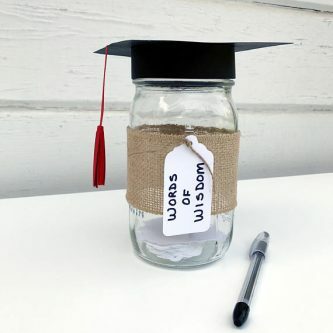 Every student graduating from middle school needs a lot of wisdom, and this Words of Wisdom jar is absolutely full of it. 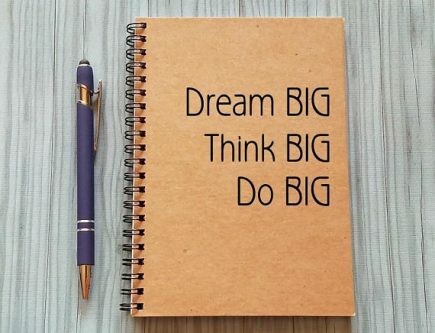 Remind him to dream big, think big, and do big. He can achieve anything he sets his mind to. This journal is a great place for him to write out his goals too. As he gets older, he will be carrying around more things in the form of cards and IDs, for school and beyond. A personalized slim bi-fold wallet will serve him for a long time. 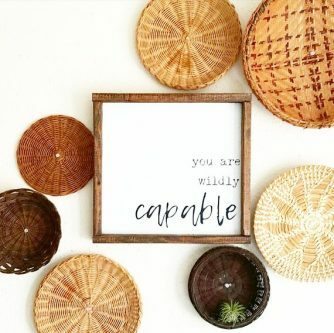 He is wildly capable of anything he sets his mind to, but he might need a little reminder from time to time, and that’s where this wood framed sign comes in. 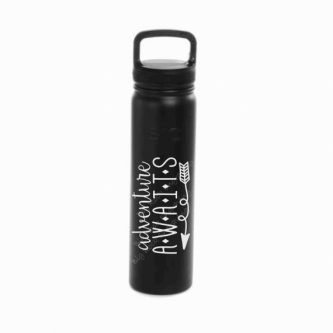 There is so much adventure awaiting his future, and he needs to stay hydrated during them. 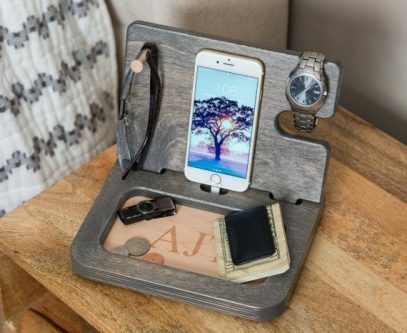 Any kid or adult with a phone, smartwatch, or anything else that needs to be charged, could use a wooden docking station. 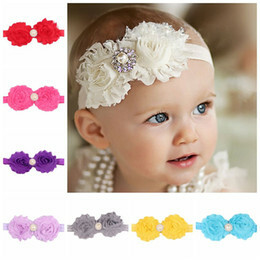 You can even personalize this one. 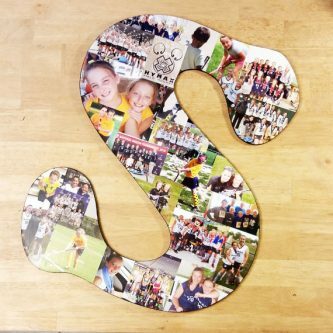 A collage of his favorite memories from the year, on a letter for his initial, will bring him happiness for a long time. 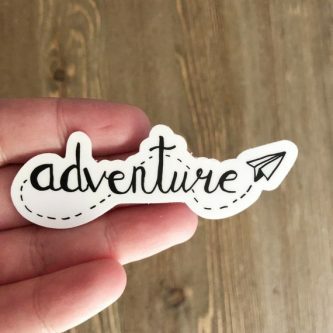 This adventure sticker can be placed wherever he wants to remind him that adventure is around every corner. Help him read more books with this Kindle Paperwhite e-reader at his fingertips. He can make all the popcorn he wants to eat this summer with his very own hot air popcorn popper! Great for lounging in the pool, this inflatable lounger with travel bag will make it easy for him to relax wherever he goes. 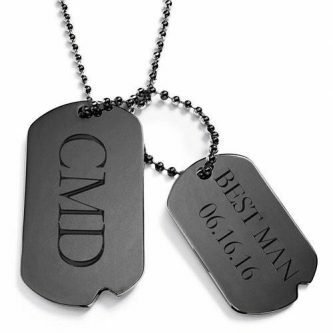 A personalized dog tag necklace is something he can carry close to his heart as he navigates the high school world in the fall. 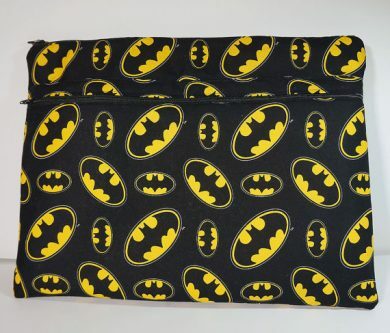 Every kid going off to high school needs a good laptop sleeve or case to keep their laptop safe, and what better kind is there than one with Batman on it? 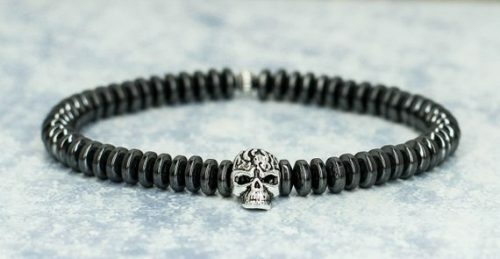 Skulls are cool, no doubt about it! 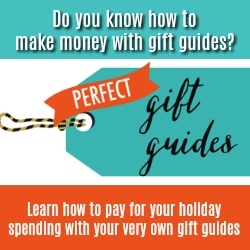 As he finishes middle school and goes off to high school, he is ready to tackle the world with one of these gifts by his side, giving him confidence or helping him have fun while he is still a kid.